Smartphone use has become an integral part of the shopping experience. In fact, a 2015 study found that 90% of shoppers use their phones while shopping in stores. What does that mean for you as a retailer? Put simply, you need to provide a strong and consistent cellular signal in order to attract and keep customers. More importantly, you need to provide a signal that can withstand heavy cellular and data activity within your store, especially if your point-of-sale and security systems also rely on strong reception. 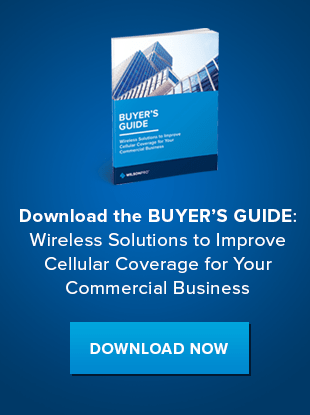 By improving your cellular signal, you can better engage customers, count on a reliable point of sale, and increase security, all while positively impacting your bottom line. 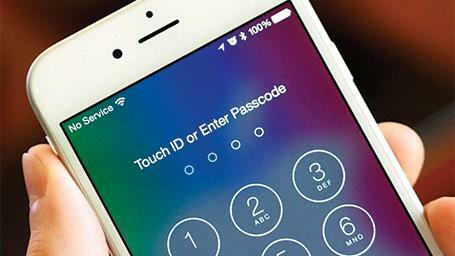 Here are three ways strong cellular service can increase the value of your retail business. Retailers increasingly engage customers with digital apps. Coupons and exclusive deals delivered to customers on their phones improve the retail experience, promote sales, and cut down on the waste and frustration of easily disposable (and frequently misplaced) paper mailers and punch cards. Take Target’s Cartwheel app, for example. Cartwheel shoppers spend 30% more per trip to the store, according to Target’s internal data. Additionally, of the 100,000 hours shoppers spent browsing and shopping Target via mobile devices in March 2014, Cartwheel accounted for 76% of the traffic. With a strong cellular signal in your store, customers can easily access apps and emailed coupons while shopping. Better yet, they can use their network’s data plan instead of your in-store Wi-Fi. Don’t let an unreliable cellular signal or fixed line connection come between you and valuable revenue. A fast and reliable point-of-sale system gets customers checked out quickly and securely and leaves them with a positive impression of your business. Offering shoppers a Wi-Fi connection is a popular engagement strategy but it can create security concerns, especially in retail settings without designated employee and customer networks or proper firewalls. These unsecured in-store Wi-Fi networks can expose your business to spyware and viruses, compromise valuable customer and company data, and risk financial loss and a damaged reputation. A strong in-store cellular signal, on the other hand, provides a reliable connection and positive in-store experience without putting important customer, employee and company data at risk. Deploying a cellular signal booster, or passive distributed antenna system, can enhance customer engagement, improve point-of-sale operations and increase security without ongoing maintenance. These flexible, carrier-agnostic solutions eliminate cellular connectivity problems by capturing and amplifying the existing cellular signal. Ideal for large buildings, commercial spaces and retail locations, these carrier-agnostic solutions increase signal power up to 32 times.